and Control # LC00250 was held on June 19, 2018 at the Las Cruces City Council Chambers located at 700 North Main, Las Cruces, NM 88001. 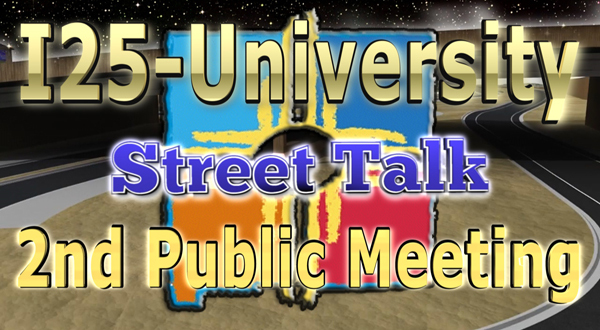 The meeting was also broadcast live on the City Channel, Comcast 20, and streamed on Facebook on the City of Las Cruces Government page. We took questions and comments via phone, email, Facebook and Twitter. It will be rebroadcast on the City Channel, Comcast 20, every Monday’s at 7pm and Tuesdays at 1pm thru August 2018.
and Control # LC00250 was held on September 28, 2017 at Las Cruces City Council Chambers. 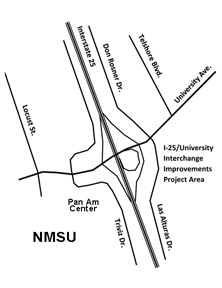 The New Mexico Department of Transportation (NMDOT) and Federal Highway Administration sponsored a telecast/internet-based public meeting to provide information and obtain input on possible improvements to the Interstate 25/University Avenue Interchange and immediate surrounding roadways, in Las Cruces, New Mexico. 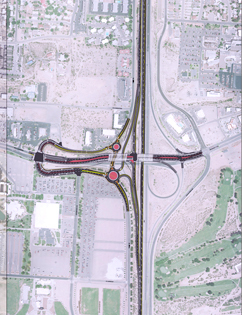 Proposed improvements are intended to address potential deficiencies associated with the aging University Avenue bridge over I-25, capacity on the I-25 southbound off ramp, congestion and weaving between the I-25/University Interchange and the University/Triviz Drive intersection, as well as safety, system connectivity, and changes due to economic development in the surrounding area. Residents, landowners, and all interested parties are encouraged to participate by providing comments, concerns, and suggestions regarding the proposed project design as well as bicycle, pedestrian, equestrian, cultural resource issues. A telecast/internet-based format was being used for this meeting. The telecast was broadcast on CLC-TV Channel 20 and live-streamed on the internet from right here (http://www.I25-University.com) from 6:30-8:00 PM, Thursday, September 28, 2017. The meeting consisted of two segments, a 40-minute presentation followed by a 60-minute live question and answer period. 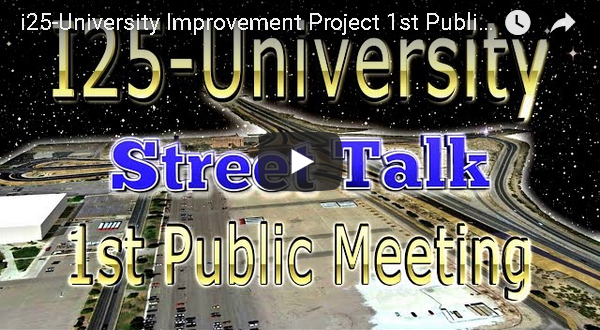 The public was able submit questions or comments about the project in advance or during the telecast, via Facebook , Twitter @I25University, Email (contact@I25-University.com), or phone ((575) 522-0049. The City of Las Cruces City Council Chambers at City Hall was be the physical location of the meeting (6:30-8:00 PM, Thursday, September 28, 2017) and the location to participate in the live meeting and to accommodate Spanish translation and sign language. The Interstate 25/University Avenue Interchange and immediate surrounding roadways, in Las Cruces, New Mexico. • Roadway improvements to University Avenue from Triviz to Las Alturas to accommodate pedestrians and bicycles.